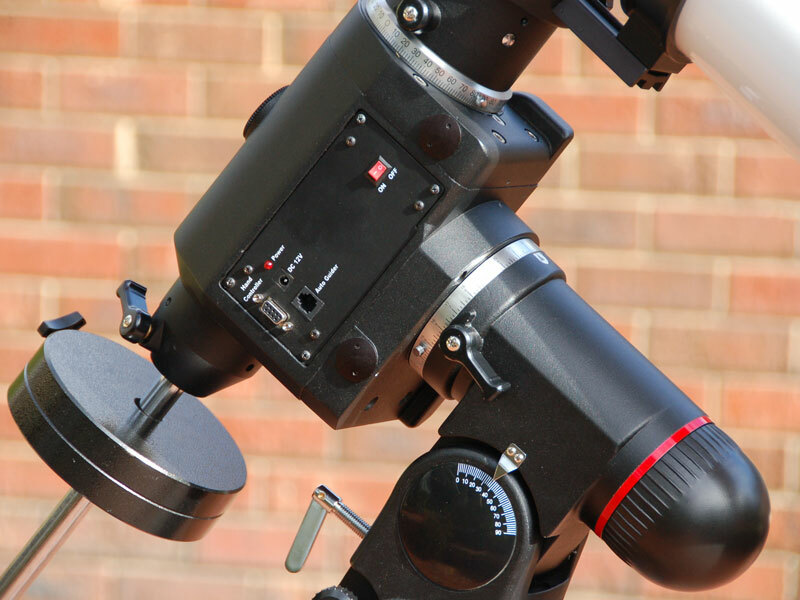 This table gives the focal length and other key specifications for each telescope. The following table details the sensor and pixel size for each camera. This mount was purchased with astrophotography in mind. It is in fact a standard EQ6 that has had the stepper motors, board and hand controller upgraded. That's why it's black and not the standard white color. The mount has 3 modifications since I purchased it. The most significant one is to use EQMOD instead of the hand controller. Secondly I have reduced the noise it was making while slewing. The other modification was to add a Geoptik saddle plate to allow the imaging and guiding scopes to be mounted simultaneously. I acquired this scope in September 2009. It's a very solid looking scope with beautiful CNC machines parts. I use this scope for imaging and guiding. The retractable dew shield does a great job keeping dew off the objective lens. As an imaging scope, I found that stars in the corners tended to be elongated, radiating out from the center of the image. This seems to have been fixed to a large degree by a Williams Optics 0.8 Reducer/Flattener II.